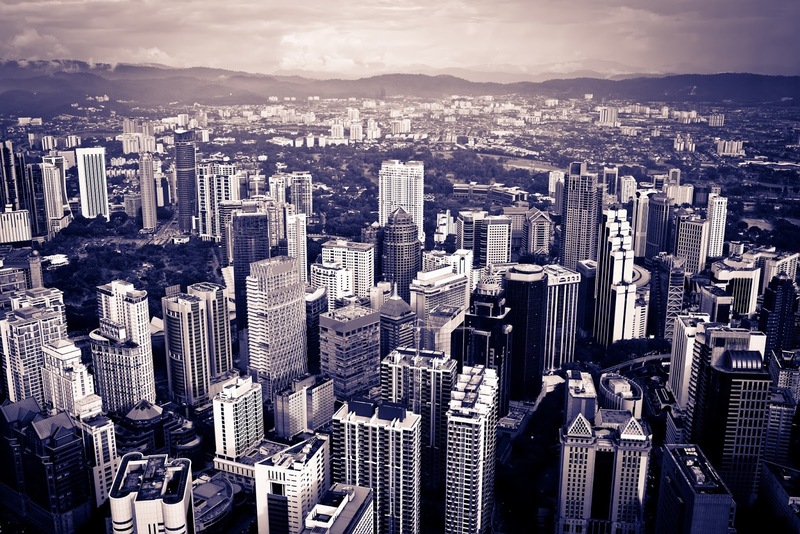 As our global population grows and approaches 7.5 billion, cities are becoming more crowded and dense with buildings. The urban sprawl continues outward, and building continue to climb upward, encroaching on our green spaces. For the most part, cityscapes of our larger cities have traditionally have been a shiny collection steel towers and glass windows. Central Park, that green oasis in New York City, no longer is enough. Visionary architects like Stefano Boeri want to change that by re-working city models to accommodate for the density of people living in those urban areas--and the pollution that comes with it. By building in a solution for sustainability, Boeri has designed buildings that incorporate nature. Some examples of vertical forests" include Bosco Verticale in Milan, the La Tour des Cedres in Lausanne, Switzerland, and the Nanjing Vertical Forest in China. He's also moving on beyond the ideo of green towers to that of a whole forested city, with drawing set up for ForestCityShijazhuang in China. His portfolio of projects is impressive! All "the green" will help reduce heating and cooling costs by building in natural shade and insulation. The vegetation of "all that green" will act as a filtration system, both producing oxygen, absorbing carbon-dioxide, and filtering "urban dust" pollution of highly populated cities (especially in China, where pollution levels are so high). Intentionality is put into the plant species that are placed on both the towers and in the cities. Given the variety of plants, the trees and shrubbery will become a bio-diverse habitat for many birds and animals as well. 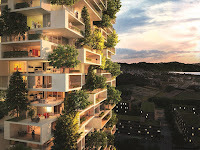 DISCOVERY CHANNEL VERTICAL FOREST from Stefano Boeri Architetti on Vimeo. 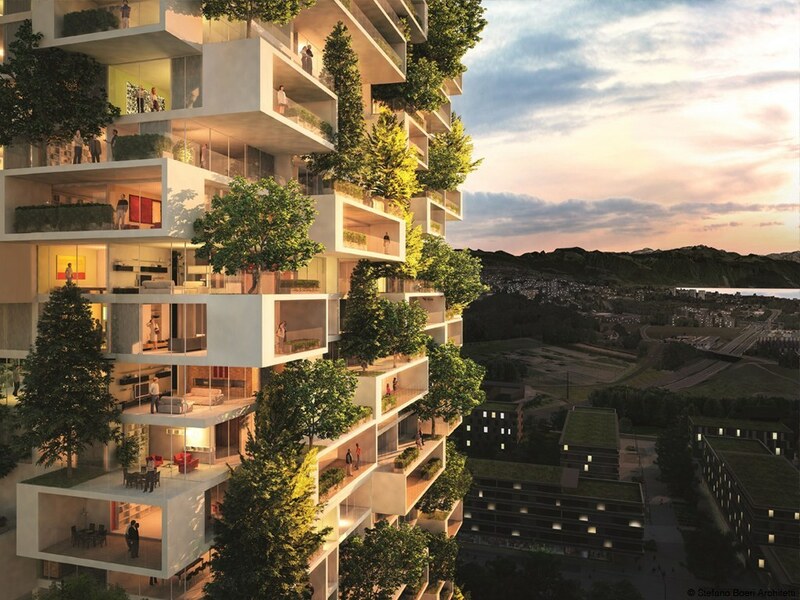 Sierra Club's "The Changing Facade of Urban Architecture"
CNN's "Garden's In The Sky"
Treehugger's "The Vertical Forest Comes to China"
CNN's "Last Look: Vertical Forests Fight Pollution"